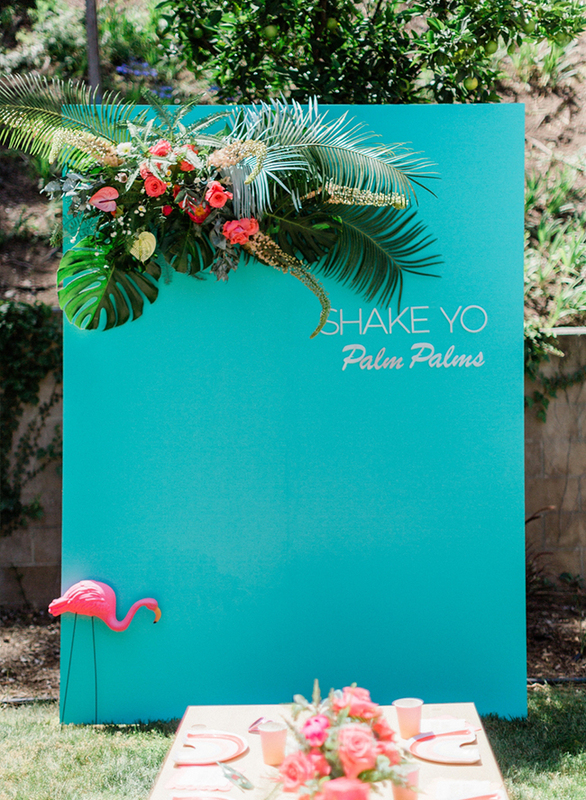 Everybody get ready to shake yo palm palms! 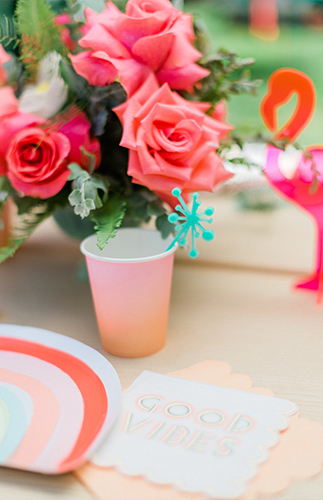 Because this retro tropical first birthday party is going off! 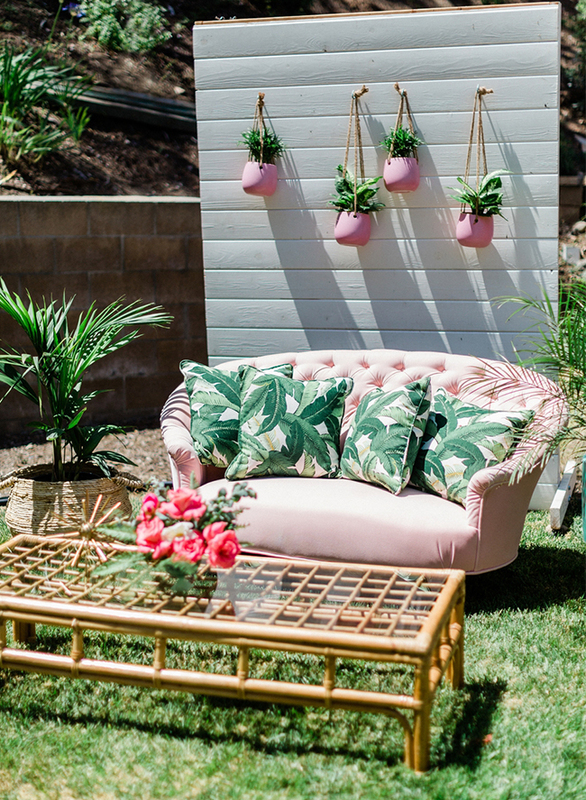 The fabulous fete, designed by both the baby’s mama and co-owner of Golden Arrow Events & Design, Melissa Mueller, will take you on a journey to Palm Springs and back to summer. 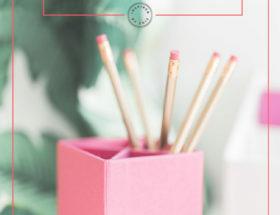 Yes, sadly it’s over. 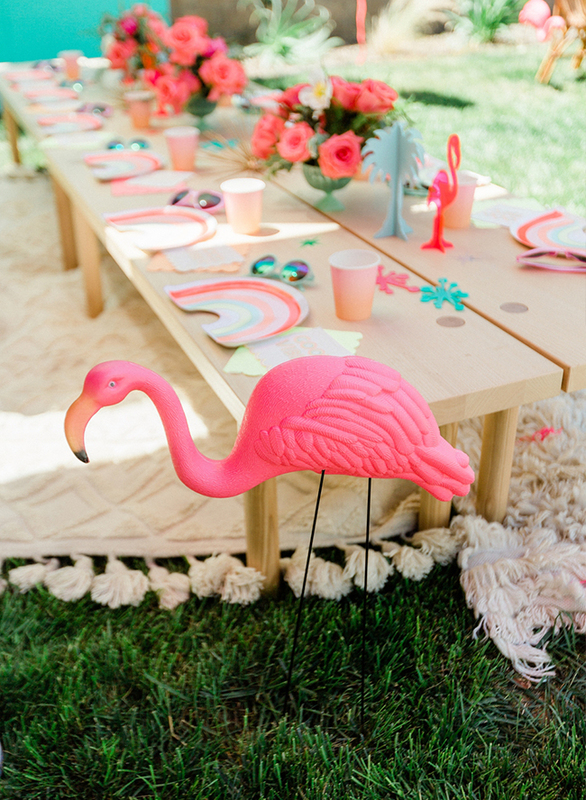 But that won’t stop us from flamingle-ing by the bar, sipping on tropical punch, or snagging a scoop of the blueberry mascarpone ice cream (YUM! 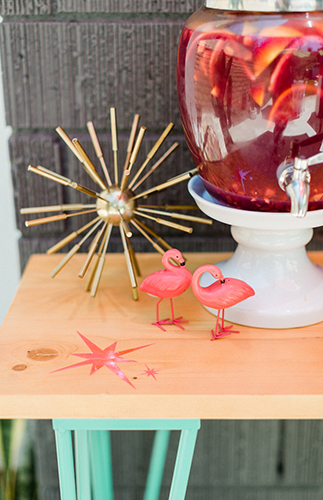 )… well, vicariously that is. 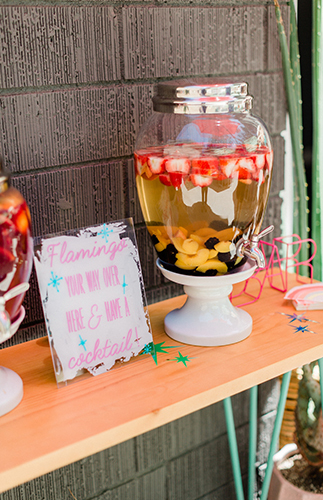 Either way, we’re having a good time just looking at this birthday bash, and know all you party people will too! 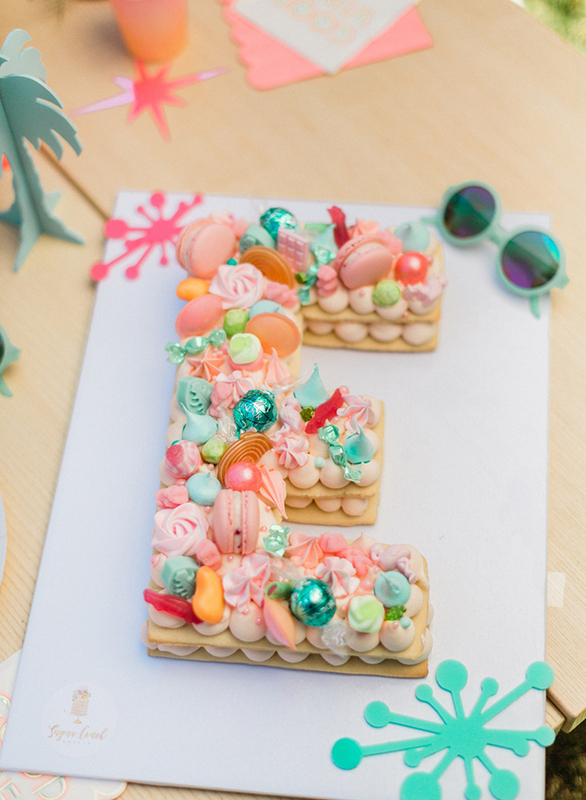 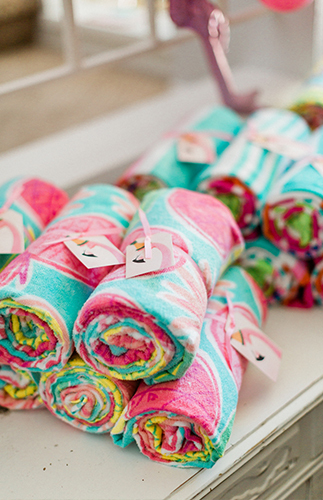 Our team had such a blast creating this retro tropical first birthday for Miss Ella Grey! 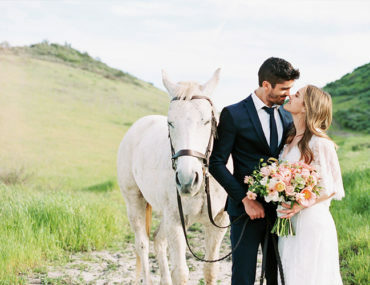 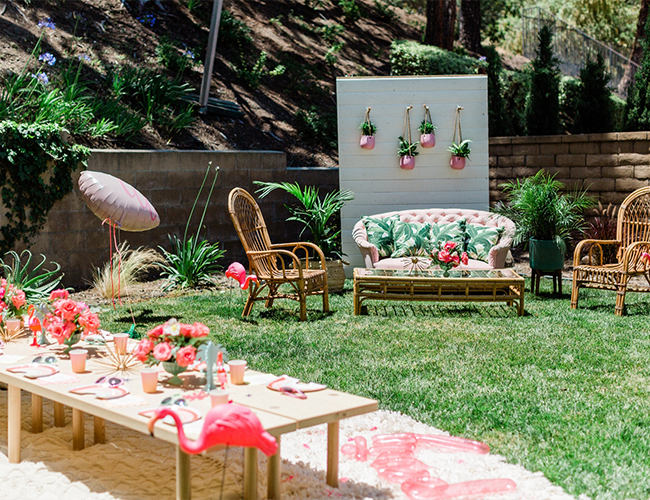 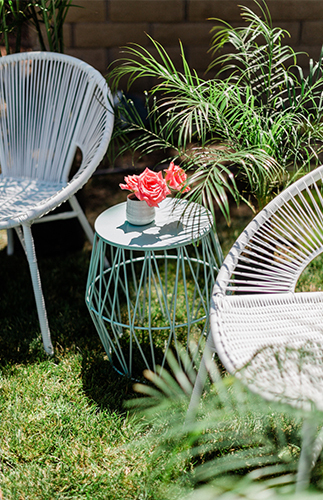 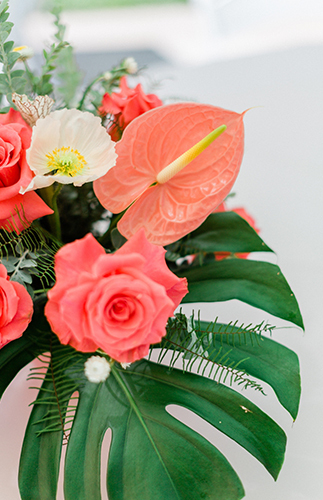 The party was filled with shades of pink, tropical leaves and Palm Springs vibes. 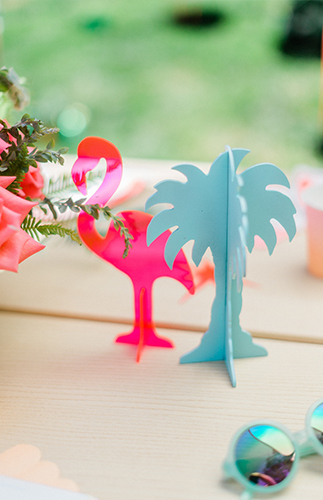 We are all about a good backdrop. 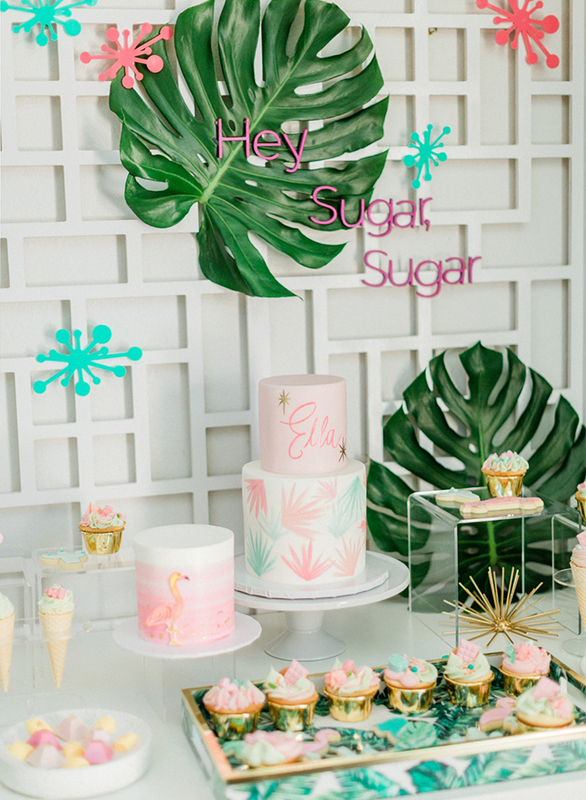 For Ella’s celebration we custom designed and built three unique backdrops to bring Palm Springs to Orange County. 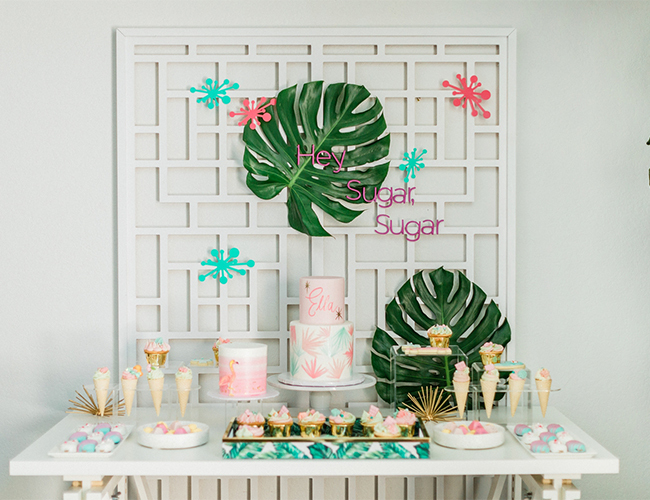 The dessert backdrop was the perfect setting for all the delicious desserts Elise Cakes and Sugar Crush Sweets created. 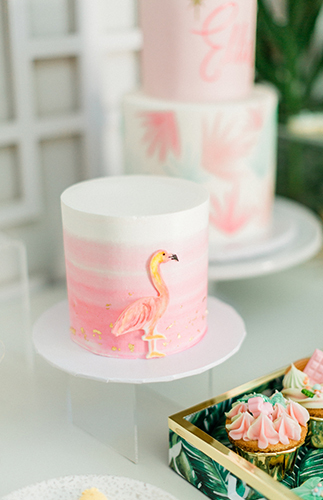 These ladies are incredible; not only did they nail the design but the guest were all raving on how yummy everything was. 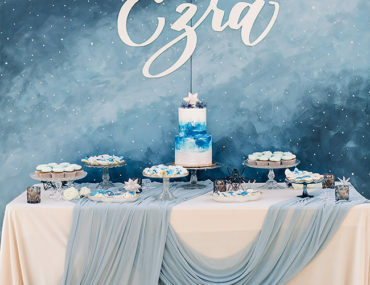 The kid’s area was my ultimate favorite part of the party! 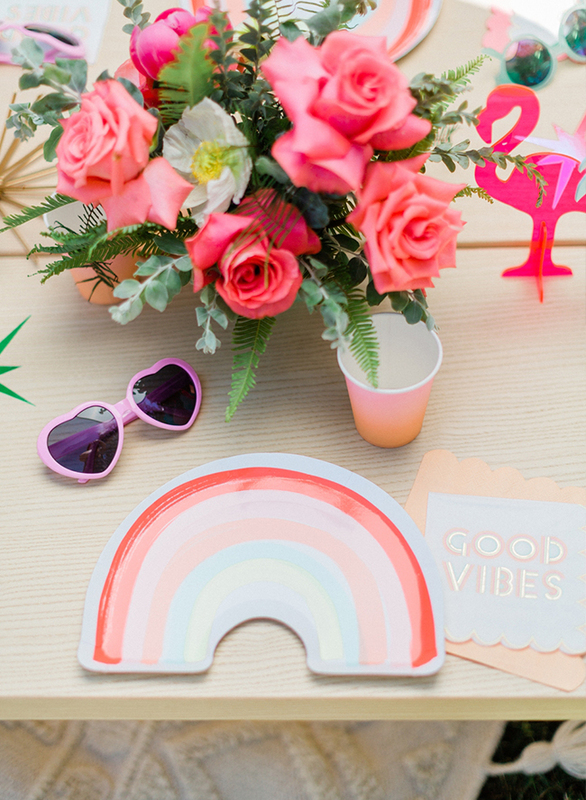 Those retro rainbow plates were the perfect pop of color… we added a little DIY detail by adding retro star stickers to the table. 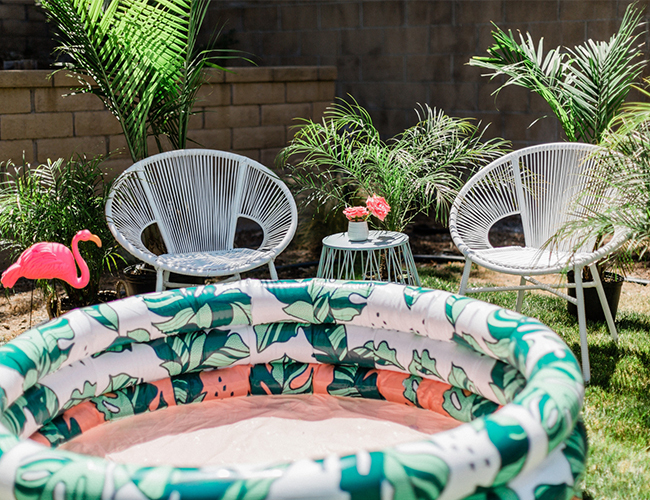 What would a summer kids’ party be without a fun pool?! 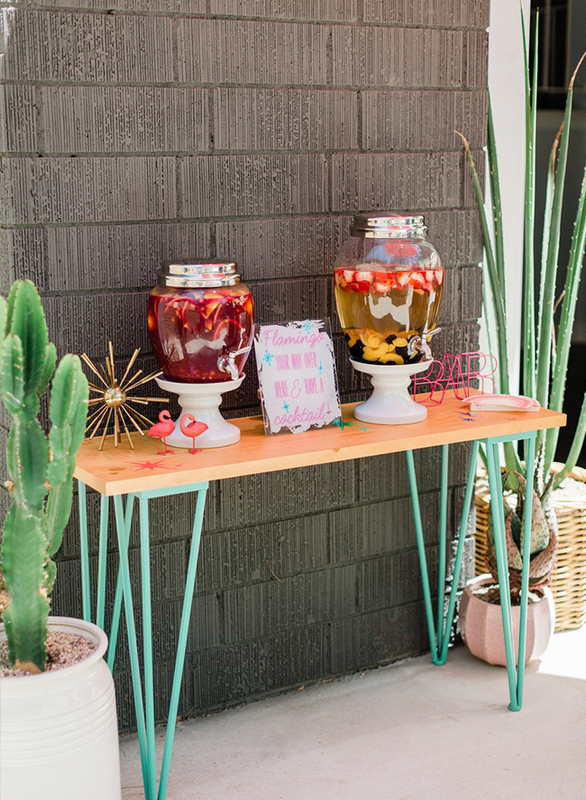 Our retro pool area was a big hit with all the kiddos, especially since it was an extra hot day. 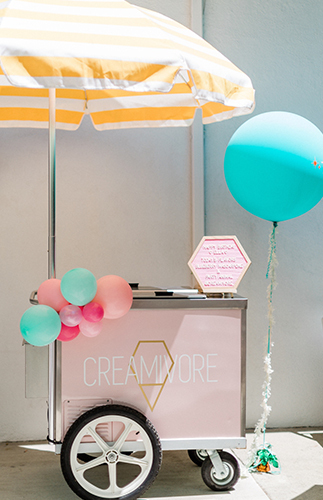 Everyone stayed cool with Creamivore’s handcrafted ice cream, the Party Animal was my favorite flavor. 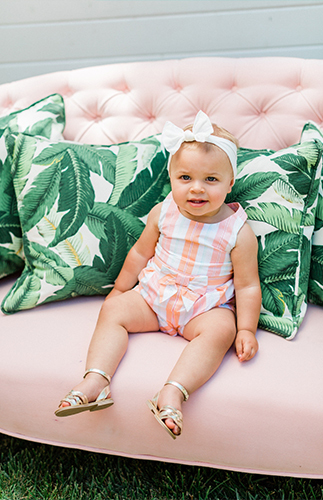 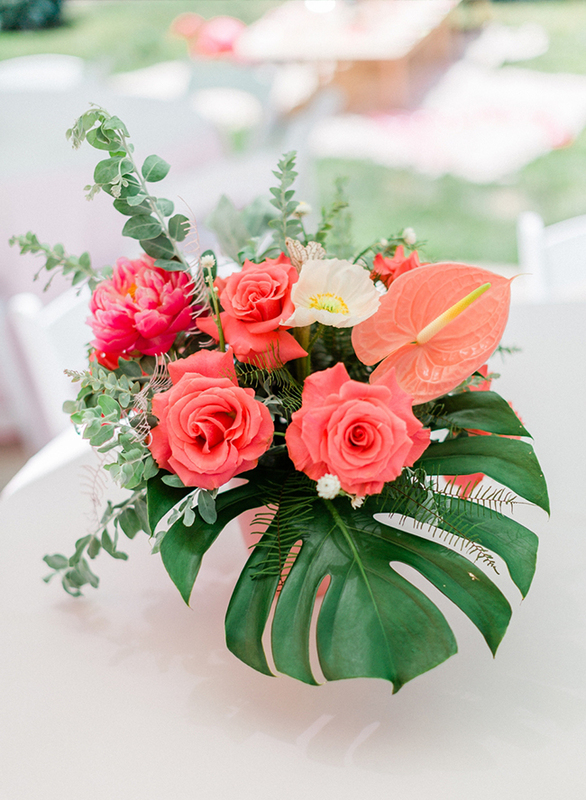 No party of mine is complete without florals, and our gal Jackie with Penelope Pots Florals and Design created the most beautiful arrangements in shades of pink, Ella’s favorite color… or her Mommy’s! 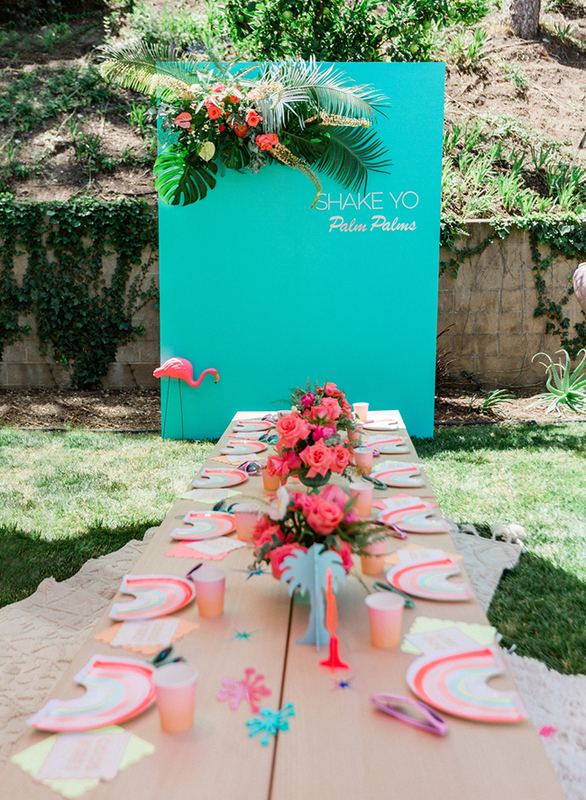 Throughout the party we added mid-modern century details, flamingos, and a tropical palm leaf pattern to bring Palm Springs to the guests! Obsessed much? 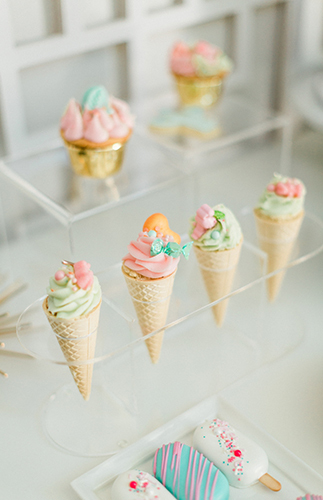 The team at Golden Arrow sure knows how to throw a party, don’t they?! 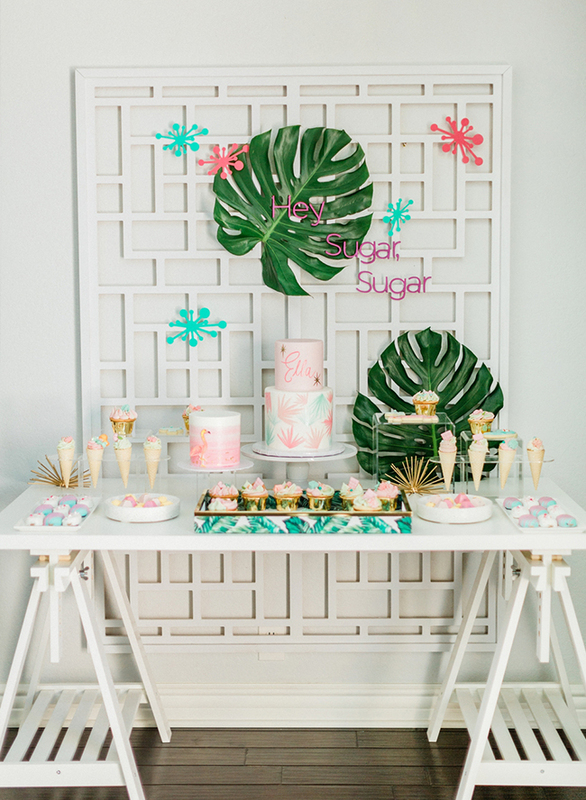 They also designed this awesome tropical baby shower and this luxe Thanksgiving tablescape. 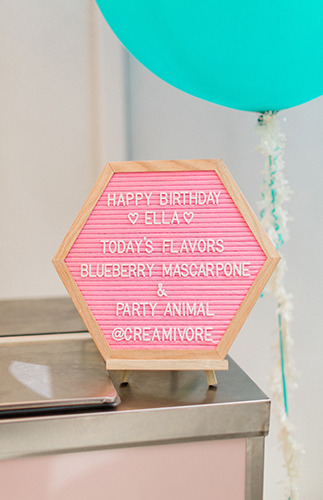 What an incredible event for an incredible birthday girl! 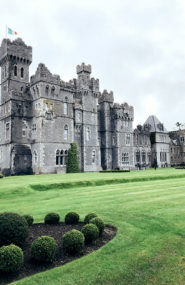 Job well done to the team that made this all possible!